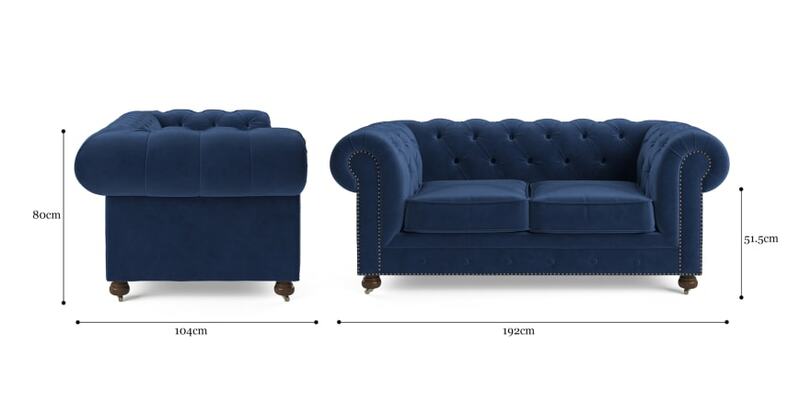 The Chesterfield has been a classic design since the 18th Century, and is as popular as ever. With its hallmark look featuring English rolled arms and deep button tufting, the Notting Hill Chesterfield adds sophistication to any home. The range is named after Notting Hill in London, famous for its rainbow of street colours, antique furniture and collectables. 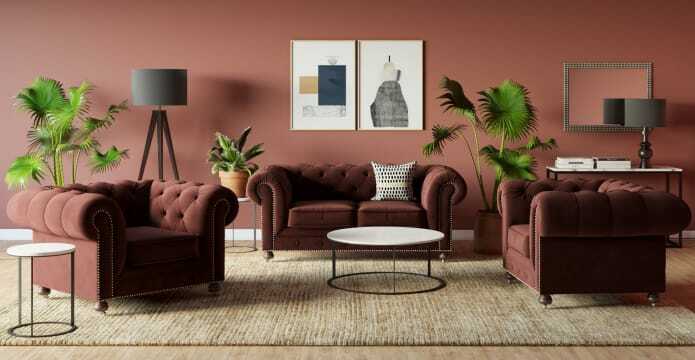 The Notting Hill Chesterfield sofa is available in 10 colour ways to match your interior style, in Mystere Velvet range by Warwick Australia - a durable velvet for everyday use. The beauty's in the detail, and the Notting Hill Chesterfield does not disappoint on this front. It features brass studding accentuating the roll arm and horizontal form, hand tufted upholstery, and wooden castor wheels. Shop a wider range of sofas and lounges available in every style from Brosa. 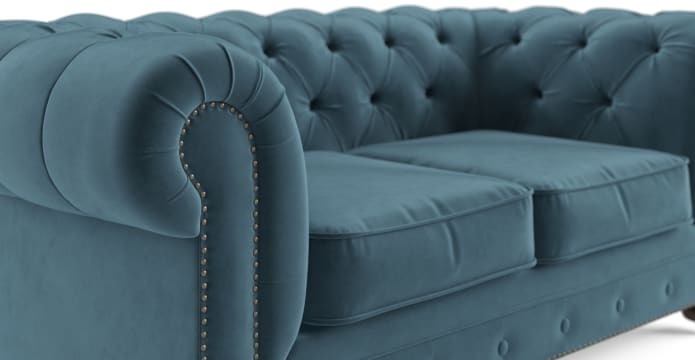 The luxurious comfort of the Notting Hill Chesterfield is achieved by the use of high density foam with pockets of feather down within the deep cushions. See the rest of the Notting Hill Collection to complete your striking sofa set. Love the sofa and your service but the delivery driver came alone and didn't have a lift platform on the back of his truck, I wasn't home and he asked a neighbour to help him. I lovvvvve my couch!! 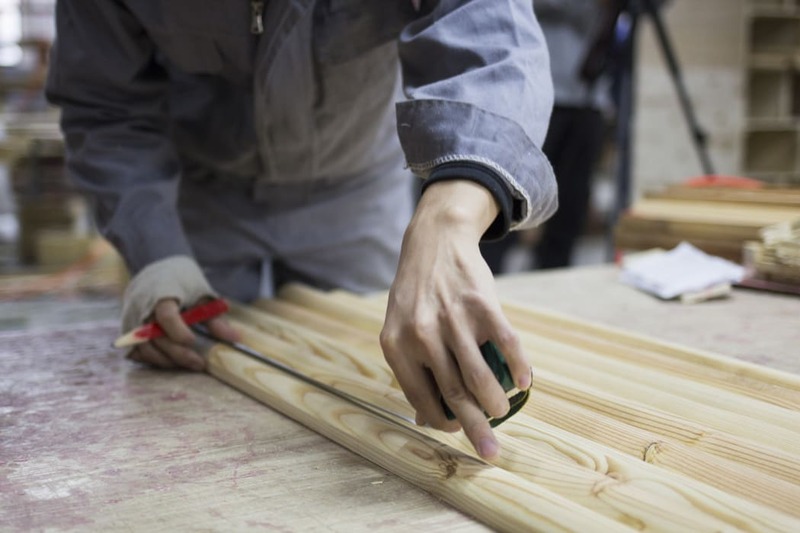 High quality product, quick and efficient service. Thank you! Great communication, from placing the order to the delivery of our stunning lounge. Amazing service! Excellent customer service, quick replies to queries, gorgeous designs, beautiful fabrics. I love Brosa's products, I was impressed when my products were delivered and my expectations were met. Great quality products at affordable prices and impeccable style. Great customer service beautiful quality furniture at affordable prices. Great website, great pieces, small mix up with delivery on my lounge but that won't deter me at all. Gorgeous sofa: rich fabric, stylish but classic design and quality materials - a beautiful focus for my new home - has that 'wow' factor. Friends all asking about BROSA! I'll be buying more when I have moved into my new home. 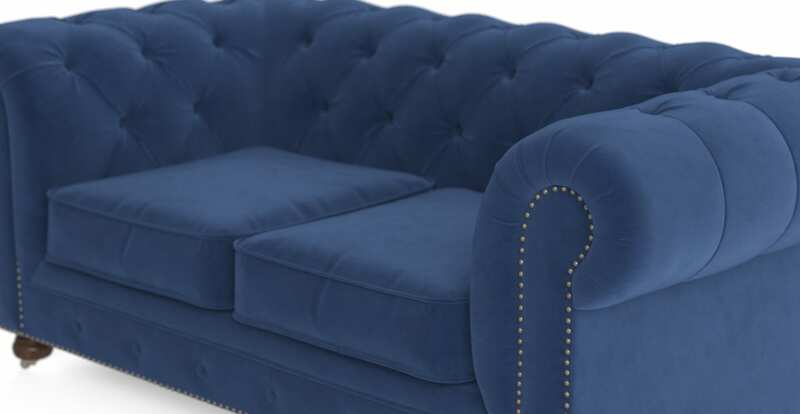 See, touch and feel our fabrics used on our Notting Hill Velvet Chesterfield 3 Seater Sofa. For Free! Simply select up to 3 fabrics and add them to your cart. Delivery is on us.